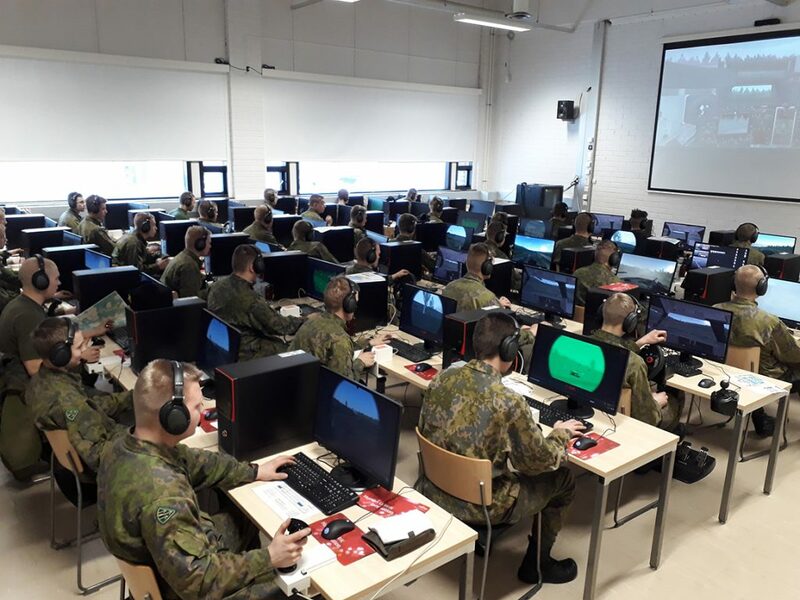 eSim Games, LLC is an independent software developer specializing in vehicle based simulations for combined arms combat tactics at battalion level and below. Our main product is Steel Beasts Professional, which is available in two variants, the classroom version for collective military training and the personal edition, Steel Beasts Pro PE, suitable for exploratory learning in self-study and distance learning. The map won’t tell you everything you need to know. Our sub-meter grid resolution provides natural cover and concealment in simulations for your tactical crew training. To learn more, see our YouTube channel. SB Pro PE 4.0 - Preview Version 4.0 of Steel Beasts Professional - to be released in June 2016. "This video is a bit of a show and tell example, focusing on different aspects." Visiting the world's largest custom made game controller for Steel Beasts Professional in Holstebro, Denmark. Showing the Crew Trainer Cabins and the Leopard 2 Platoon Trainer, running on Steel Beasts Professional as a commercial off-the-shelf solution. Steel Beasts Professional Personal Edition 4.023 is Released! Click on the button below to go to the Downloads page.